Protestors in the Ukraine shout 'freedom' and support for EU membership. Although it is not for us to tell other nations what to do we can proffer advice. 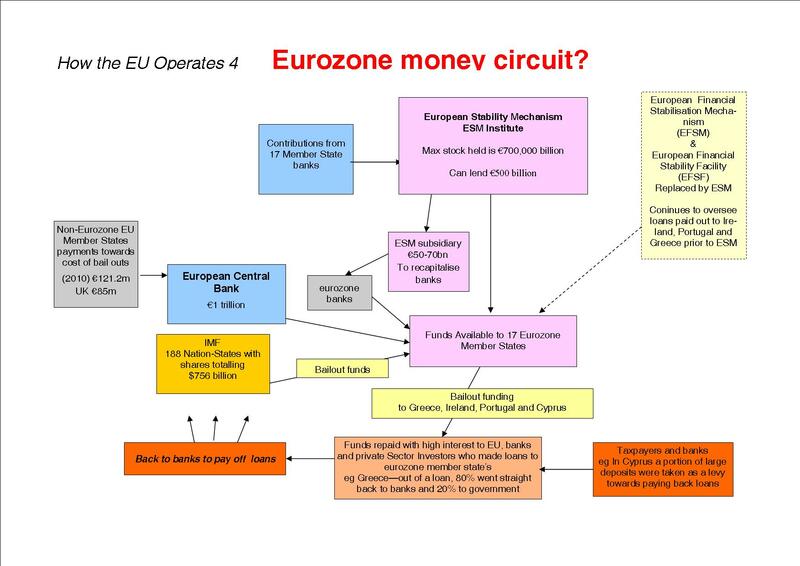 Any country joining the EU has to join the single currency and accept all the EU legislation and policies already put in place. That means giving up the national currency along with key controls over the economy. That is giving up independence, hard won and long held rights, all forms of democracy and freedom from repression. The Ukraine fireworks have been lit by a combination of dubious and odious right and far right political characters including former Nazis and collaborators. Vested interests and leading politicians in Germany are behind the ructions in the Ukraine to carry out a century long objective to expand eastwards. It is these interests who are jumping up and down in protest at the Ukrainian Government for not signing an agreement with the EU. Instead the Government is joining in agreements with Russia which includes a customs union. In the longer term may come the proposal to partition Ukraine into east and west parts. No doubt part of that objective would be to consolidate and bring into action the European Army which Germany has been so keen upon for a long time. This would be hidden behind an EU Common Foreign and Security Policy being formulated right now especially at the December EU summit in Brussels. The fireworks in Eastern Europe are a distraction away from the secret negotiations over the US-EU Free Trade Agreement which is coming to a close. It is the transnational corporations who have engineered this and all the other free trade agreements (see page 5) across the world. It is politicians and especially government ministers who are both silent and sleepwalking into the dire situations these agreements will bring about. Apart from honourable but few exceptions it is most of the media which is keeping silent as well. These partnerships, agreements and pacts completely undermine the sovereignty, independence and democracy of nation states. 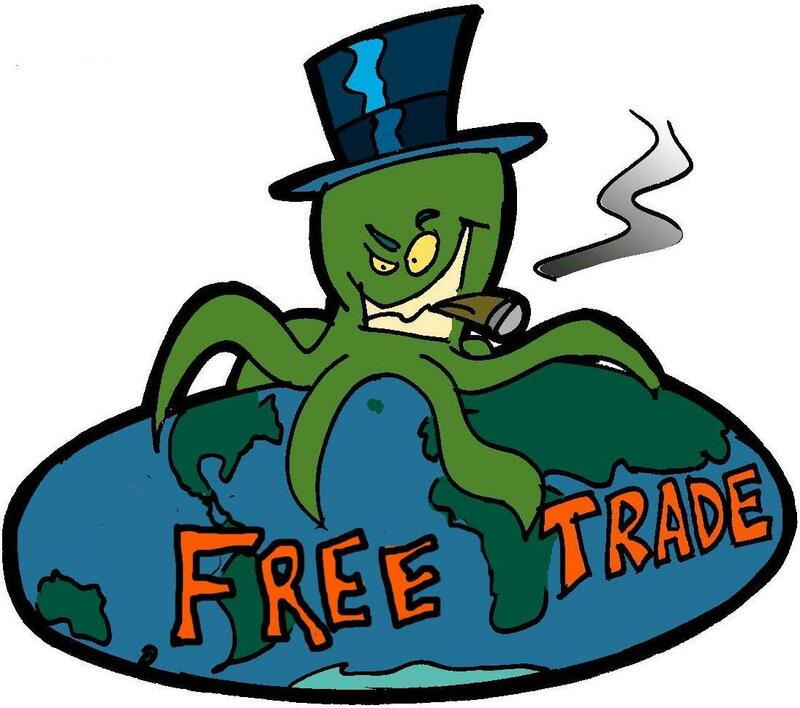 It may be called 'free trade' but it is the antithesis of 'freedom' except of course for the transnational corporations to do what is best for them and their in-built quest for ever bigger profits. There is no room in these agreements for the health of people, the environment, resources for future generations or the very planet itself. As with the implications of EU membership and getting out of the EU the same objectives and course has to be taken. 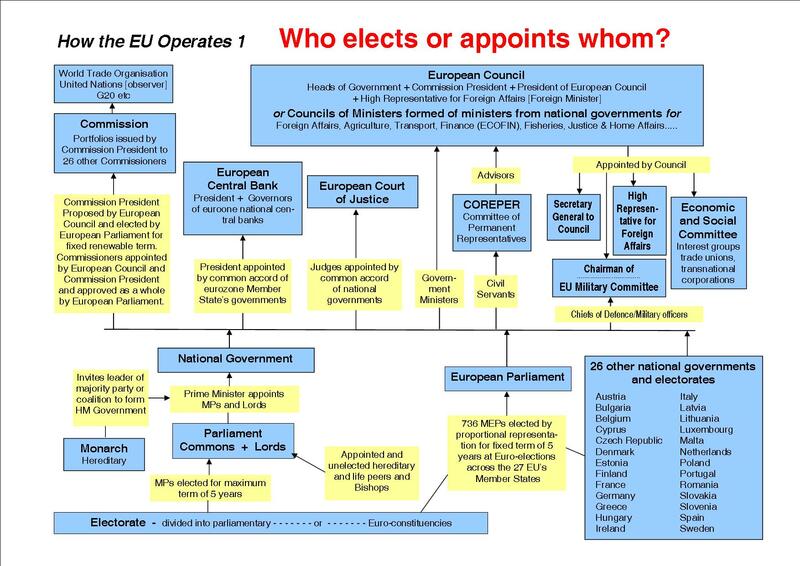 To make clear that the only known way to control the avaricious transnational corporations and banks is by using the powers of the government of a sovereign nation state with the right to self determination, national independence and democracy. That means ridding the country of this ConDem government which largely consists of millionaires who act on behalf of the corporations. It also means winning the labour and trade union movement policies back to supporting those people who work for their living and their families and standing up to the transnationals by getting out of their EU with its single fee market and stopping the free trade agreements.